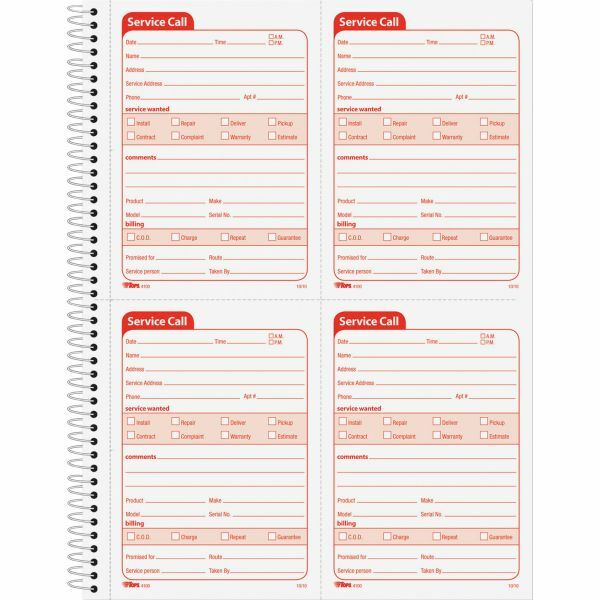 Shaded area with check-off boxes for work completed. 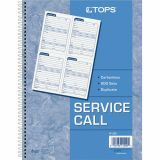 TOPS Service Call 2-part Spiral Message Slip Book - Big slip provides the space needed to record all the details of a phone message. 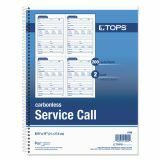 Use for a complete system in any kind of service business. 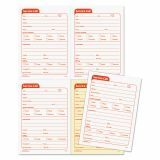 Two-part carbonless format includes red ink on white original and canary duplicate. 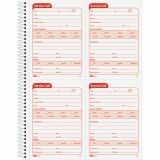 Spiralbound message book includes four slips per page.